WOOL UNDERLAY SALE. SAVE UP TO 57% ON RRP THIS APRIL! Supreme Comfort reversible woollen underlays are designed for maximum comfort and to help regulate your body temperature to its optimum warmth. Turn your standard mattress into 5 star hotel quality luxury in an instant. 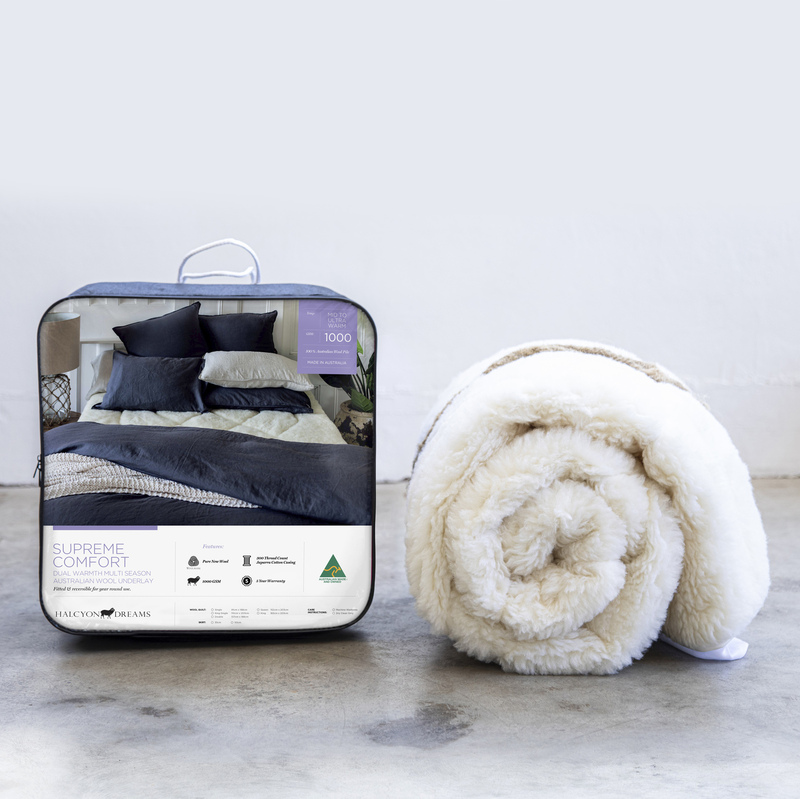 Our luxurious 100% pure new Australian wool underlays use the highest quality Woolmark Certified wool and are fully fitted to your mattress with 35cm or 50cm deep skirt options. Made In Australia. Underlay: 100% Pure New Australian Wool. Wool Weight: 1000GSM - grams per square metre. Fitted Deep Skirt: 35cm or 50cm deep skirt suitable for all matresses. Health: Eco Friendly, Anti-Bacterial and Anti-Allergenic.